Bletchley Park has secured a much-needed lifeline with a £330,000 grant from English Heritage. The funds will be used to carry out urgent roof repair work on buildings within the historic WWII code-breaking centre. Talks that could lead to a further grant of £600,000 over the next three years are under way between English Heritage, Milton Keynes Borough Council and the Bletchley Park Trust, the BBC adds. 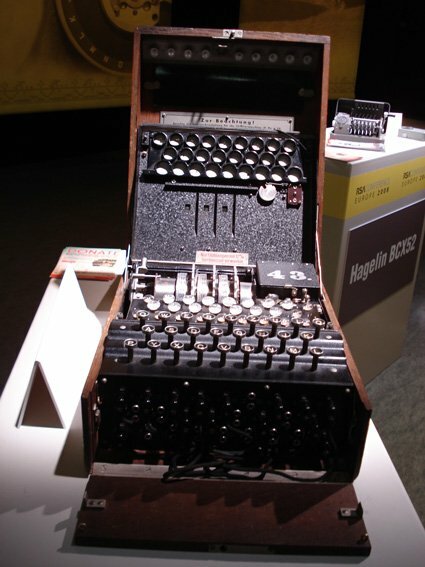 The mansion in Buckinghamshire was home to the Colossus computer, the world's first programmable computer, and the base of code-cracking efforts against Enigma that gave the Allies a vital intelligence edge during WWII. Rooms in the 130-year-old grade-II listed building are at risk because the roof has been patched repeatedly rather than properly replaced. The issue led to an appeal, to which English Heritage has responded by funding repair work expected to finish in March 2009. The plight of the centre was publicised after a group of leading scientists wrote a letter to The Times calling for the government to rescue the site, which had fallen into disrepair. The grant from English Heritage removes the threat hanging over the main building but still leaves the problem of renovating the wooden huts in the grounds of Bletchley Park, where the likes of Alan Turing worked to unravel the secrets of Enigma. The Bletchley Park Trust has raised £5m since taking over the site in 1992. The site was shrouded in secrecy for years after the war and plans were even tabled to demolish the site, which was in an advanced state of decay, and build a housing complex in 1991 before wiser counsel prevailed. Reg readers are invited to donate to Bletchley Park either directly here or by buying one of our fine Enigma-themed T-shirts here.